Boston Apparel Lab - Boston GreenFest - Aug. 16-18, 2019 - FREE! 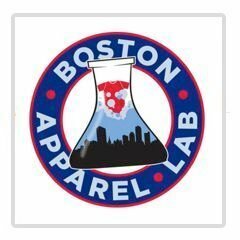 Boston Apparel Lab is a locally owned and operated custom apparel company located in Everett, MA. Boston Apparel Lab is a locally owned and operated custom apparel company located in Everett, MA and we are committed to quality screen printing and embroideryat competitive pricing with a quick turn-around time. We have 30 years of experience designing and printing custom designs and clothing for our customers and we pay attention to each and every detail to make sure that they absolutely love what they're getting. Boston Apparel Lab is dedicated to providing mentorship and community outreach so that our presence has a positive impact on our environment. We strive to be helpful and resourceful to others while producing quality custom apparel that customers can wear proudly and we can do the same for you. To learn more about our screen printing and embroidery services, please contact us at Boston Apparel Lab and get your hands on some custom apparel today!